After the chaos created by Ransomware Virus worldwide now various viral messages are being forwarded on WhatsApp. One such message is currently viral, which says “do not receive incoming call from 777888999″. 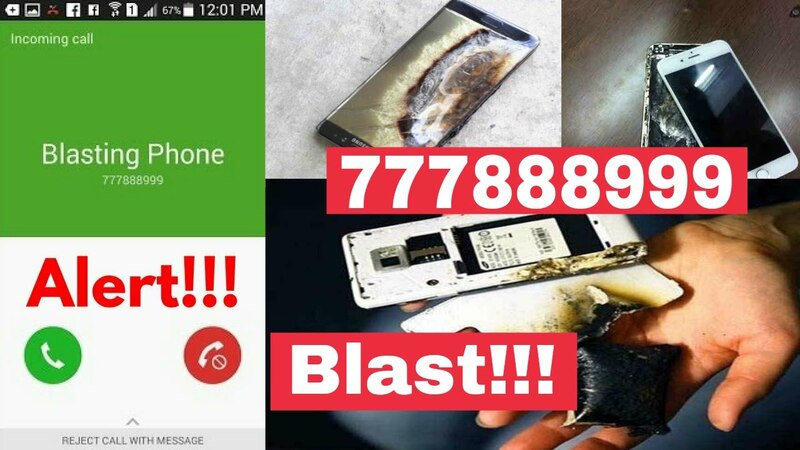 The message also says ” If you receive call from 777888999, your phone will explode”. This message also states to forward this message as quickly as possible be we’re short of time. As soon as this message is received, people start forwarding without verifying its fact. If you have received any such message, then here is the truth about it. A similar message went viral in January and so far no one has received calls or explosions reports from the above mentioned number. If you look carefully at this number, you will find that there is only 9 digits in it. Experts say there is no 9 digit numbers in India. The numbers with less than 10 digits can be foreign, but before that they need a fixed country code, as in the numbers of India +91 ahead. Here’s the message that these shocking messages have been viral for some time in the social media. Such messages gets viral on WhatsApp quickly. Similar is the condition on Facebook. But no one knows the facts. Such messages are spreading in social media without checking the truth. People are also sharing photos and photos on Facebook and WhatsApp. Some say that this is happening because of cyber attacks. When Cyber Expert says it is not at all possible to blast another a phone by calling from another phone. However, they also say that a research is going on in foreign countries to develop this technique but there is no success in this. If it succeeds, then the country’s security agencies will firmly block it. The only thing to say is that if any such message is received by you, do not trust it and do not forward it. Previous article All you need to know about India’s longest Dhola-Sadiya bridge.